One of the many things you might want to know about me is that I am a hopeless romantic. I'm a big believer of love (always have been), and I enjoy watching rom-coms again and again just for the fun (and kilig) of it. 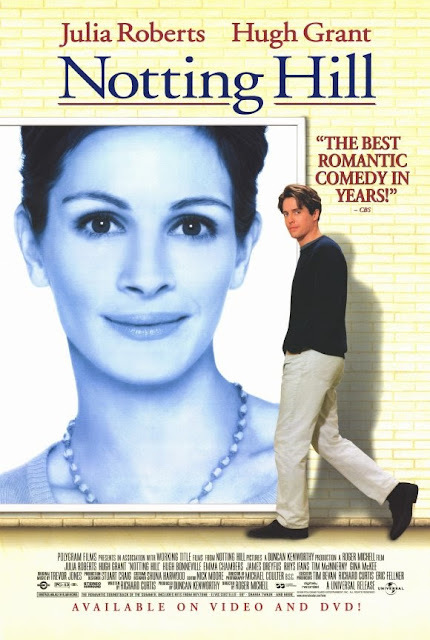 And one of my absolute favourites is the movie, Notting Hill – which may sound quite familiar, I'm sure, as it was undoubtedly a very, very popular film. If you haven't seen it, you're definitely missing out! It's a classic. "Don't forget... I'm also just a girl... standing in front of a boy... asking him to love her." Anyways, because my sister and I really loved that film so much, we both agreed to visit the place while we're in London and look for the famous locations included in the movie. Hence, my photos with the Blue Door. Here's a picture of me shamelessly trespassing into someone's private home. Oops!